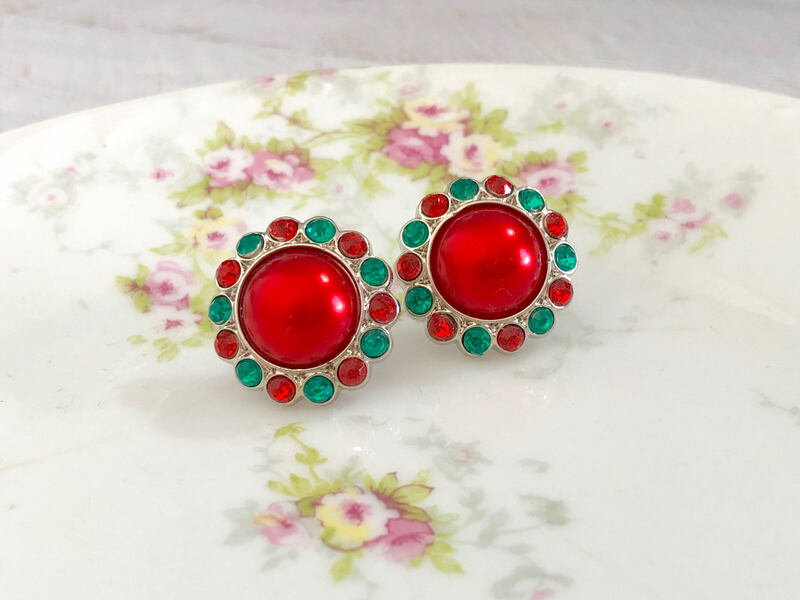 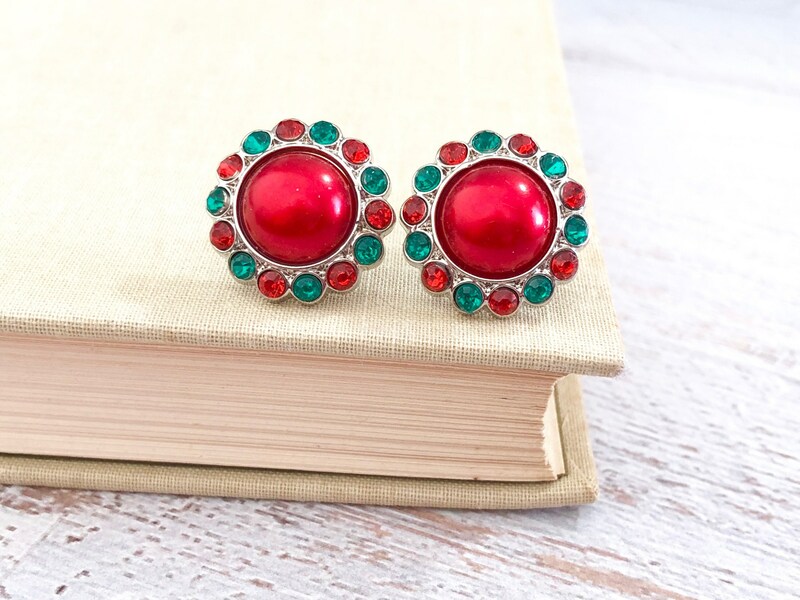 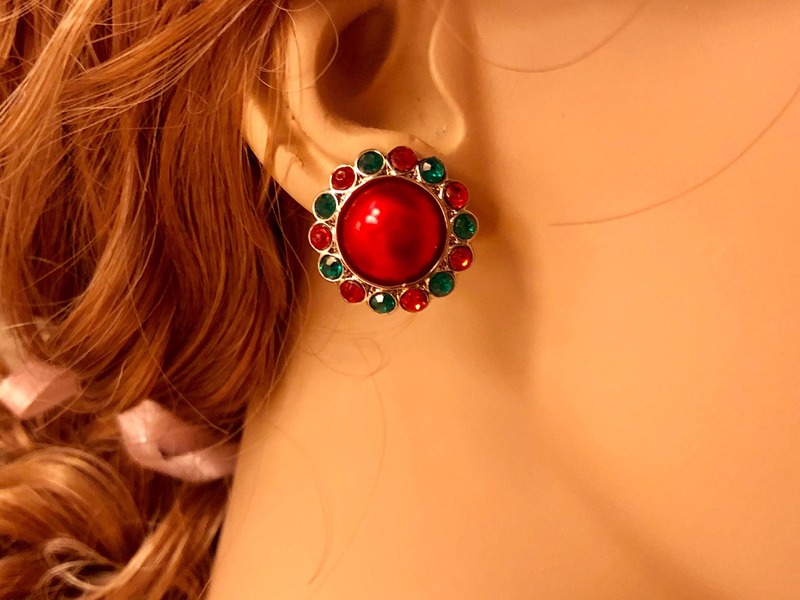 These are the perfect statement earrings for christmas - a bright red pearl surrounded by red and green rhinestones. 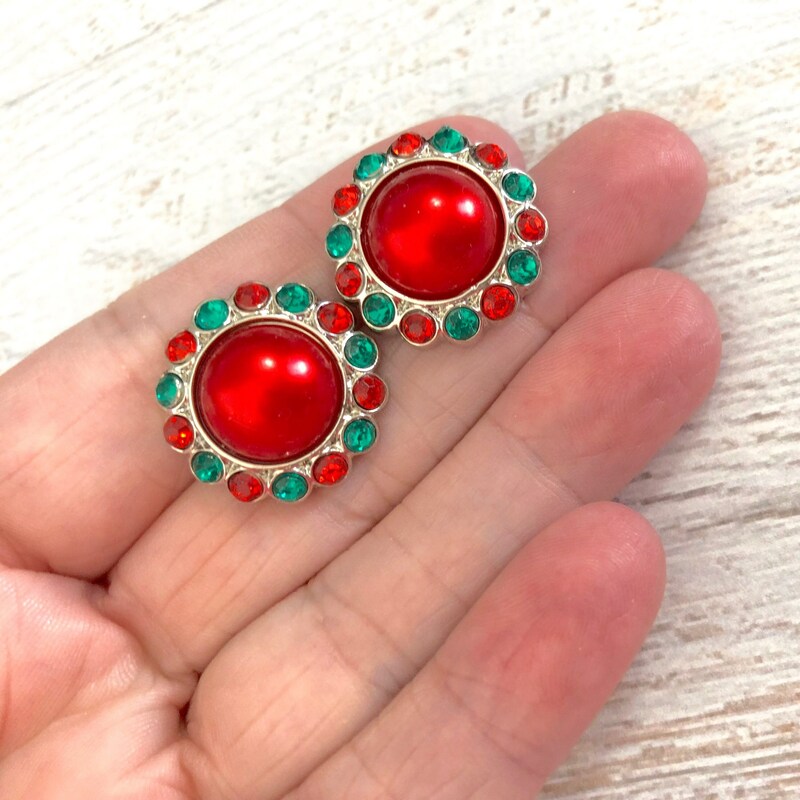 These measure just a bit over 0.75 inches in diameter, but the best part about these is that they are acrylic so they are nice and lightweight. 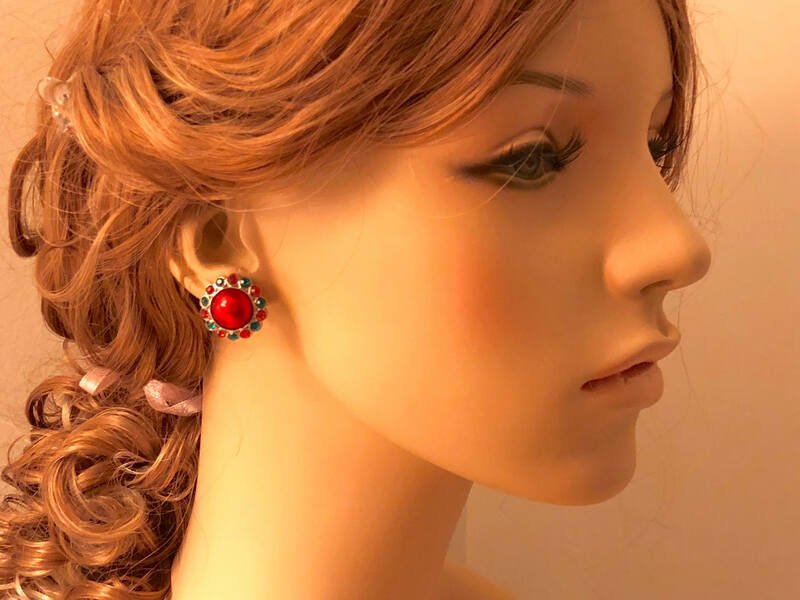 I have finished these with surgical steel studs. 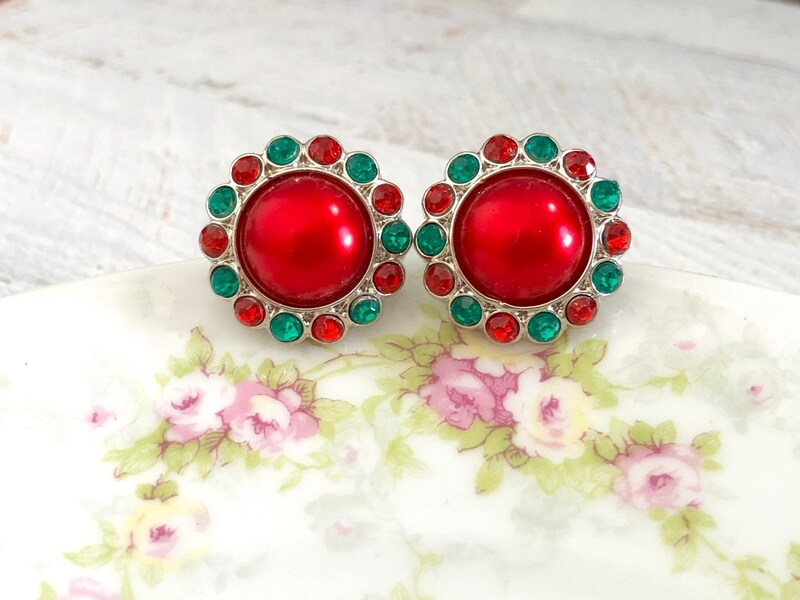 Please Note: All stud earrings are MADE TO ORDER so please allow up to 72 hours for me to make the earrings prior to shipment.